Michelle Salis is a Strategic Account Manager for Ultimate Software, a leading cloud provider of human capital management (HCM) solutions. Michelle represents the Ultimate Software Enterprise team, working with organizations that are headquartered in Ohio with 1,500 or more employees. In this role, Michelle collaboratively engages in needs analysis and product demonstrations to educate organizations on the value of Ultimate’s UltiPro ® solution and implementation services. 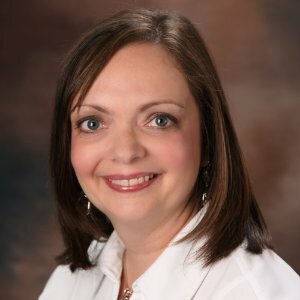 Michelle has over 15 years of experience in the HCM industry, specializing in human resource management, payroll, talent acquisition and management, and time and labor management. She has volunteered for the past 15 years with the Cleveland Society for Human Resource Management, serving in various leadership positions. Michelle is also an event organizer for DisruptHR Cleveland and currently serves as Co-Chair of the HR Technology Special Interest Group (SIG) for Cleveland SHRM. Michelle earned her bachelor’s degree in psychology from the University of Toledo and her master’s in business administration from Baldwin-Wallace College. She resides in Broadview Heights, Ohio, with her husband and two children. Michelle is a soccer and gymnastics mom, and enjoys boating on Lake Erie with her family during the summer.